Formula 1 fans will have a rare chance to ask questions to Ross Brawn at a charity event in High Wycombe in Buckinghamshire on February 27. 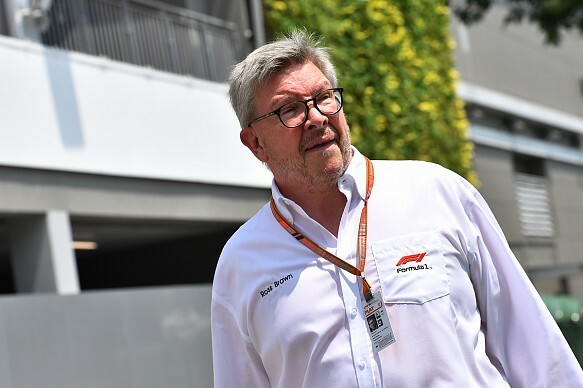 To be hosted by Steve Rider, 'An Evening with Ross Brawn OBE' will feature the former Ferrari technical director and Brawn GP and Mercedes boss talking about his career in the sport - and the challenges he now faces as F1's managing director of motorsports. The event is in being held to raise funds for Horizons Sports Club, an organisation that encourages children and young people with disabilities to participate in sport. "I'm looking forward to it," Brawn told Autosport. "I always enjoy those evenings, because it's enthusiasts. "It will be loosely split into the first half, which will be my career up to date, and then the second half will be the future. "People normally turn up some interesting questions, and Steve is very good at teasing out lots of information. They might get a 'no comment', but I'll be as open as I can! "And it's for a great cause, so it should be a wonderful night." The action kicks off at 8pm at the Wycombe Swan theatre. Tickets have been selling fast and cost from £18-£32.